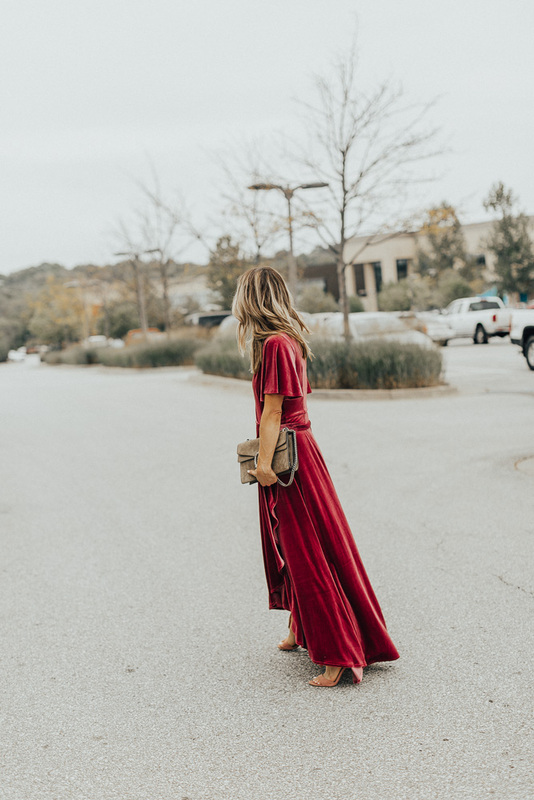 I’ve been trying to keep up with answering some of your instagram (DMs) and inbox questions about what to wear to certain events and what to wear to a fall wedding. A couple of you who emailed also mentioned you have bridal showers to attend and even holiday parties coming up on the calendar. 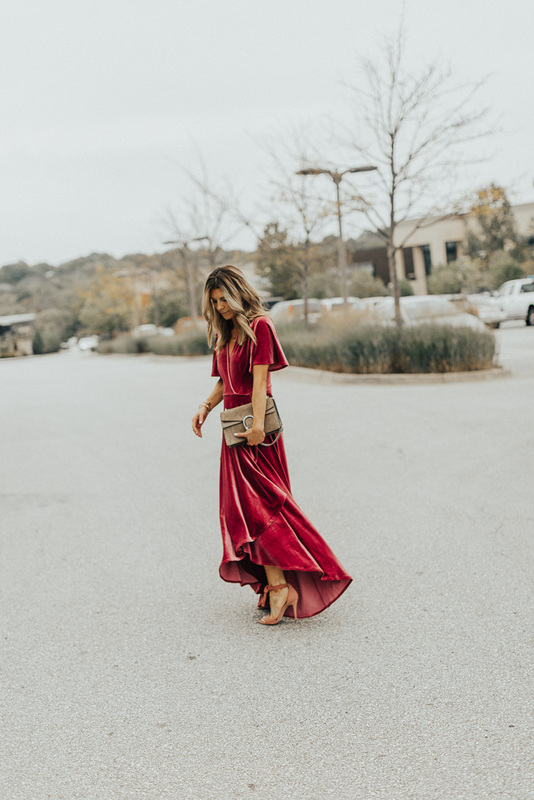 Wedding, shower, holiday parties, it’s always a good idea to have a seasonally appropriate dress in your wardrobe in case a special occasion arise. This dress felt like silk on and the second it arrived, I knew it would be perfect for a fall wedding we have coming up. This dress would also be perfect for family photos! 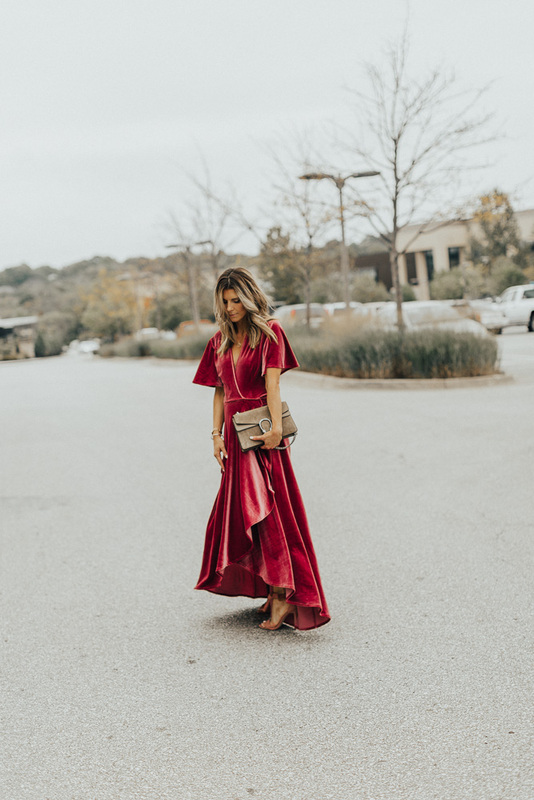 Velvet is huge right now, as well as deep burgundy hues and fall florals are always a hit. 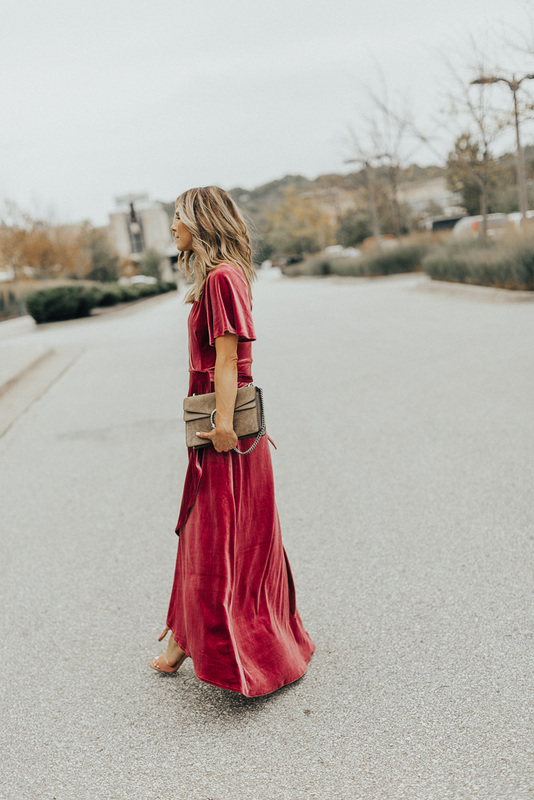 There are so many good velvet dresses for fall and the deep tones are stunning AND flattering. This one is definitely a favorite. It’s the most stunning shade of deep rose (so on trend this fall) and the silhouette is incredibly flattering. I hope this helps answer some of your questions! As always, don’t hesitate to reach out with more style questions I will do my best to try and get back you! Oh my goodness, this looks incredible on you! So autumnal and classy. Absolutely gorgeous! 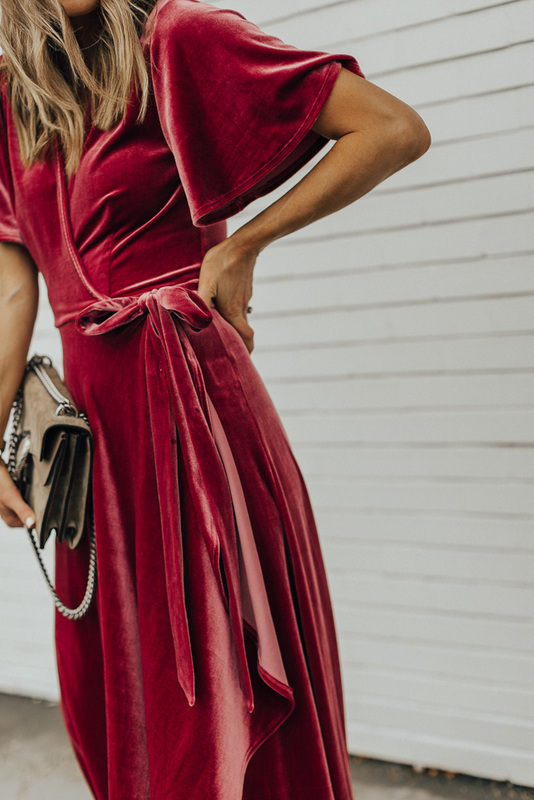 I love everything about that dress from the velvet to the deep burgundy tones. It looks so soft and comfy too. You look so stunning in it. Love the color of this dress! Would be great for a holiday party too. I love this dress and it would be perfect for my bridesmaids. Where do I buy it from!!! The hyperlink for the dress links to a different dress…the quality of it and the sleeves etc are totally different, even the color. Where did you get the dress you’re wearing from? I’d love to buy it but it’s not the same one as in the link. This is the one I’m wearing in the photo – from Revolve in color deep rose. It is linked in the 2nd hyperlink in the copy, but it’s sold out 🙁 so I linked other similar options in the post as well! This original post is from 2017 — so I’m not sure if all are still available, but I will check and try to update with some in-stock options.